Historic Smithville started as a simple, one room, stage coach stop. Over the last 60 years it has blossomed into a wonderful memory-making way to spend a day or two! When entering any of our 60 shoppes you will feel the hometown, small business feel. Wander along our cobblestone walkways and over our foot bridges to discover a village that seems as if it were frozen in time.The carefully manicured grounds and attention to detail make Historic Smithville a breath of fresh air and a place you will want to visit again and again. Historic Smithville Inn is the restaurant where the simple dream of Smithville began. The Historic Smithville Inn is now an award winning restaurant with over 80 weddings each year. If you’re looking for a casual meal, we have 3 other restaurants within the village for you to choose from. Really want to enjoy the village in style? Stay the night at the Colonial Inn Bed and Breakfast with over 27 rooms to choose from; which we guarantee will exceed your expectations. The Carousel, Train and Paddle Boats are a fun distraction from all the shopping and eating. Not to mention, the view of the village while floating on our Lake Meone is breathtaking. We pride ourselves on having something for everyone, so, stop by and see what you think! 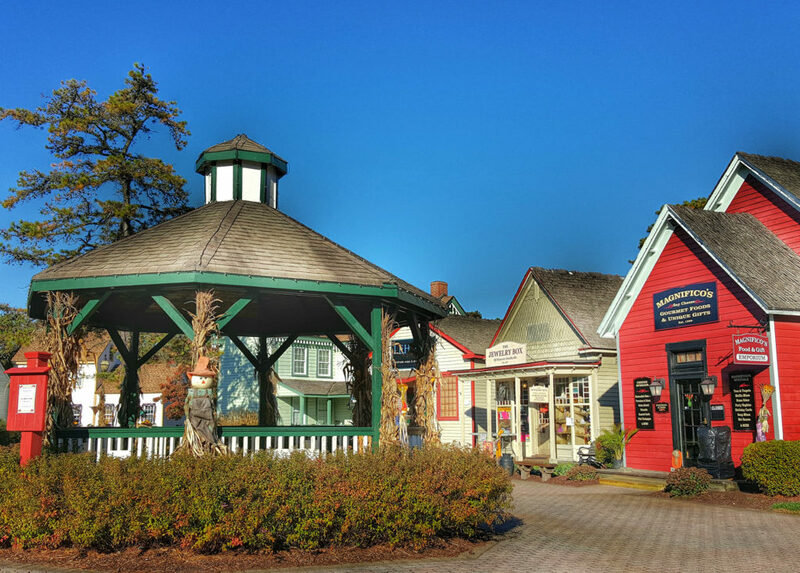 Historic Smithville is host to over 30 free weekend events. From Oktoberfest to Car Shows to Children Festivals we have an event to interest everyone in the family.